Dave is one of five featured artists in the May 2015 issue of Elan, the Northern Virginia magazine that celebrates the arts. 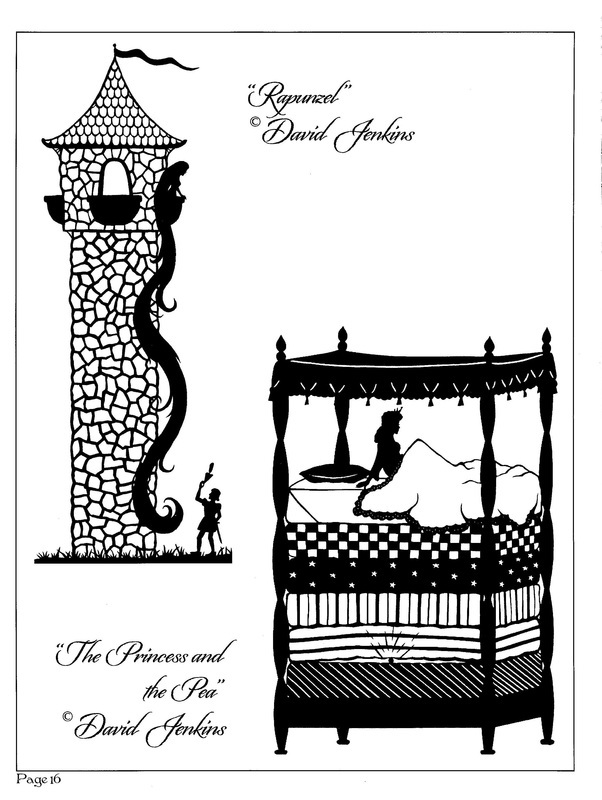 The article about David Jenkins Papercuttings starts on page 46. Click here to see the magazine: Elan. 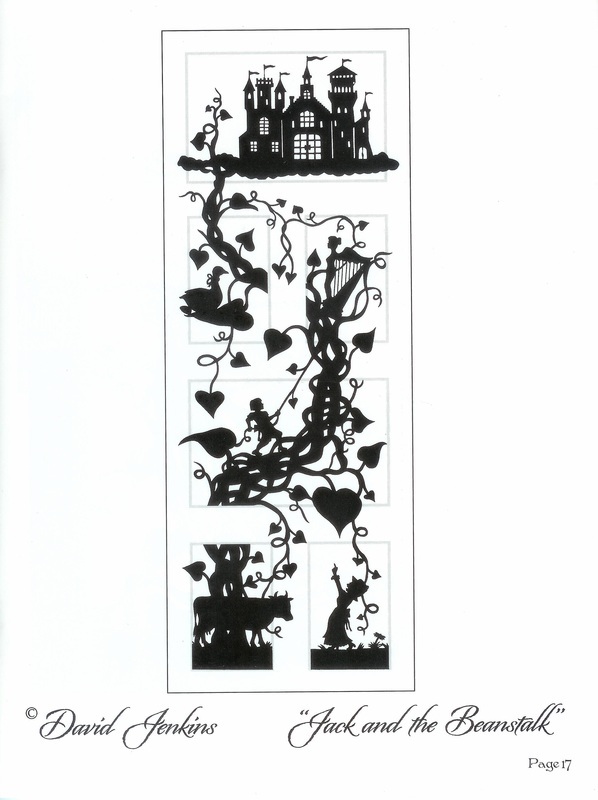 In late 2013, Dave completed a large papercutting that served as the basis for a poster advertising the Galena (Illinois) High School production of “The Miracle Worker,” which ran November 21-23. 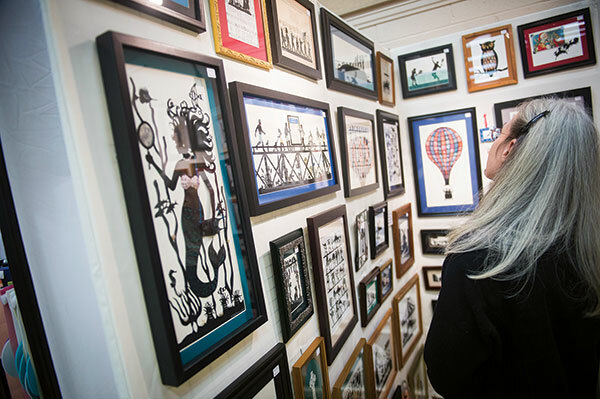 Following the last performance, the framed original cutting was the keystone piece in a raffle, the proceeds of which were donated to the Galena Lion's Club for the vision and hearing needs of residents of the Galena community. Dave was awarded the Juried Crafts Award at the 2012 Bluemont Fair, held in Bluemont, Virginia in mid-September! Read the Leesburg Today article. Musical Alphabet, in the GAP's 2014 Review, "Music in Mind." 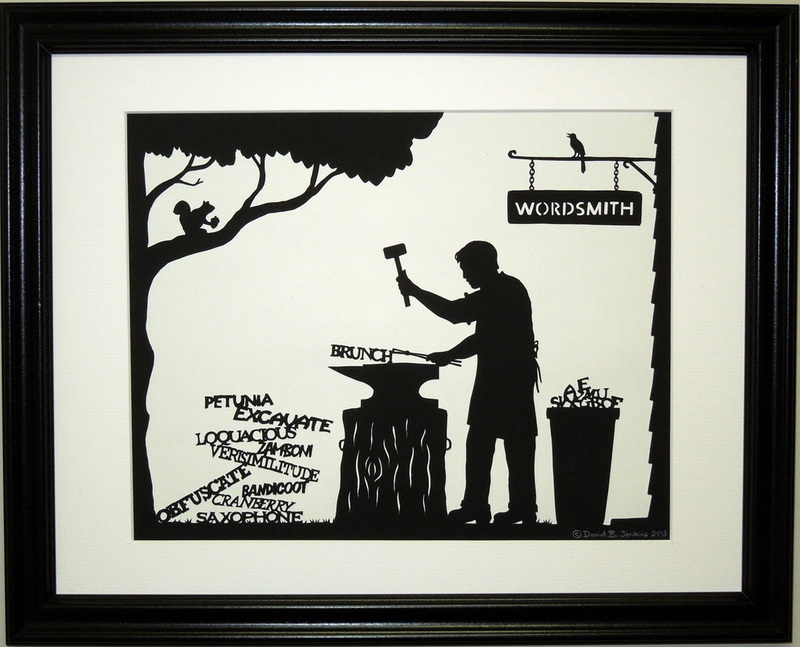 Wordsmith, in the 2014 Spring Review, "Inspired by Words." Bluegill, which uses international postage stamps for the fish's scales, in the GAP's 2013 Annual publication, "Nature in Paper." Hard copies of these publications are available at the GAP museum shop in Somerset, Pennsylvania. From Arlington Magazine, Nov-Dec 2016: "Framed art galore at the McLean Holiday Crafts Show."